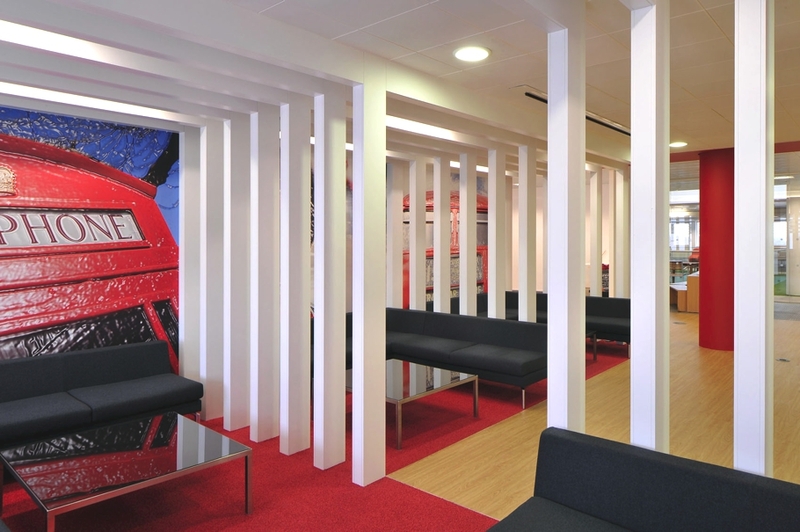 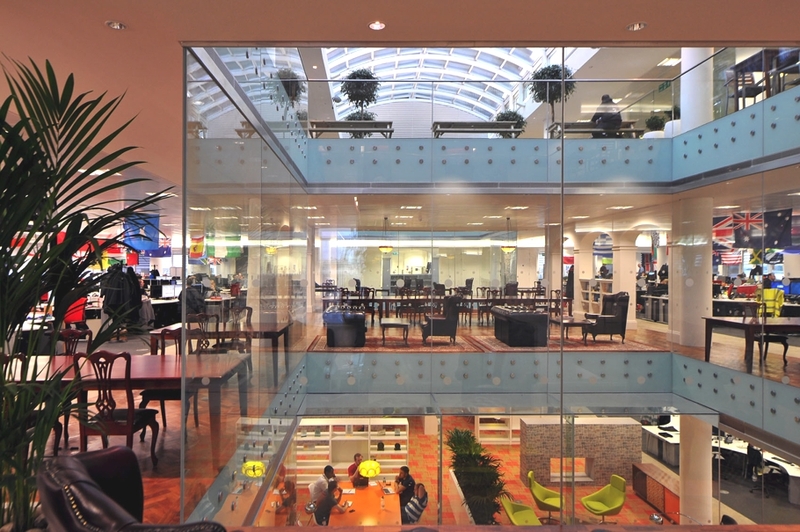 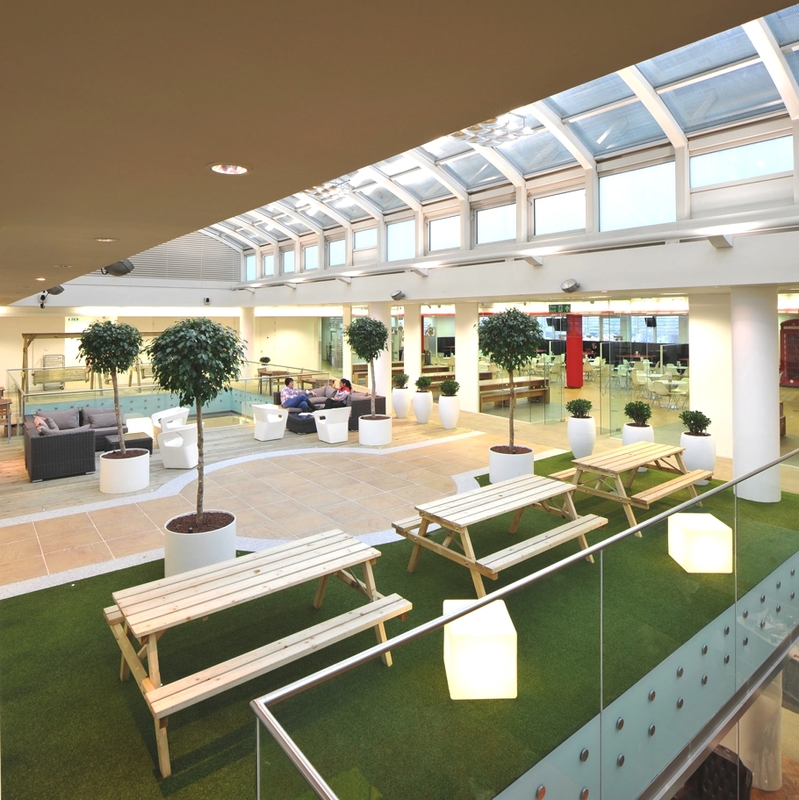 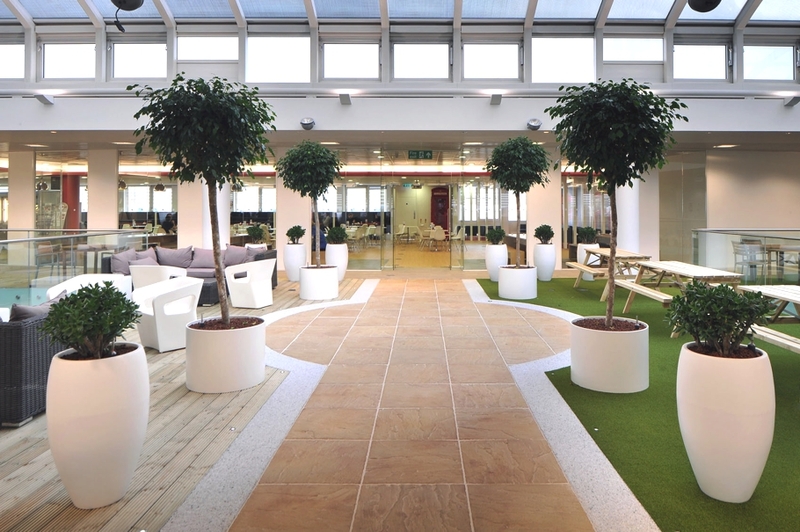 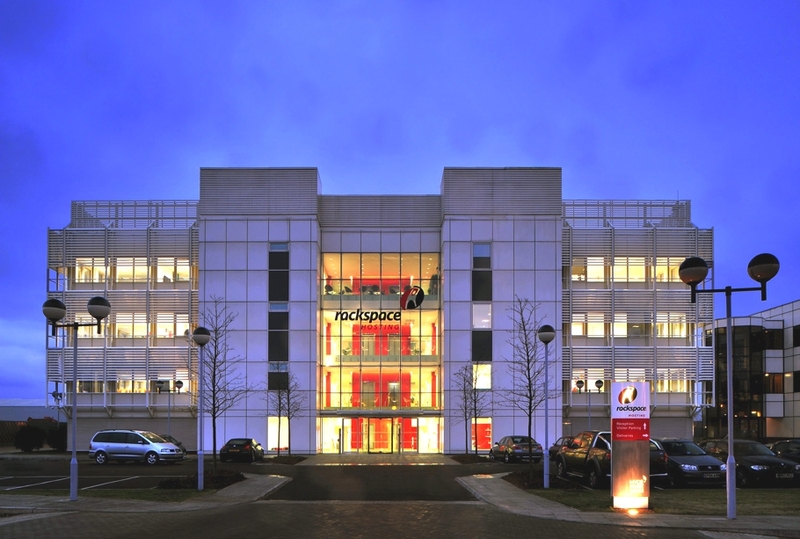 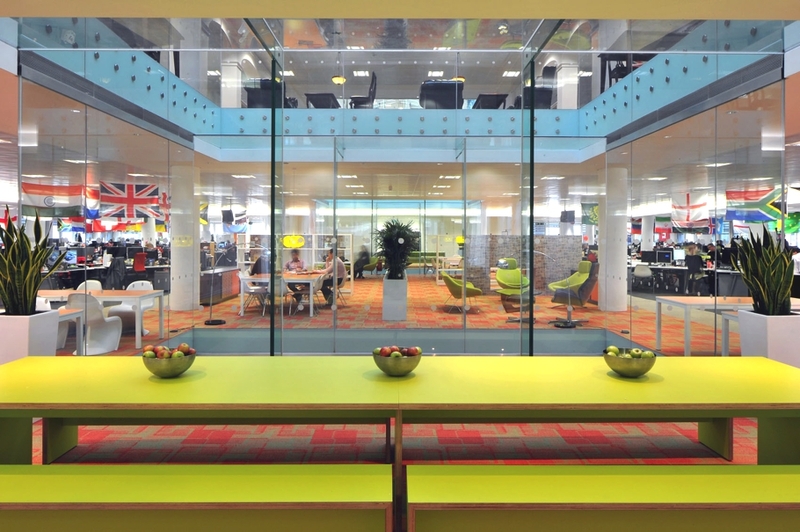 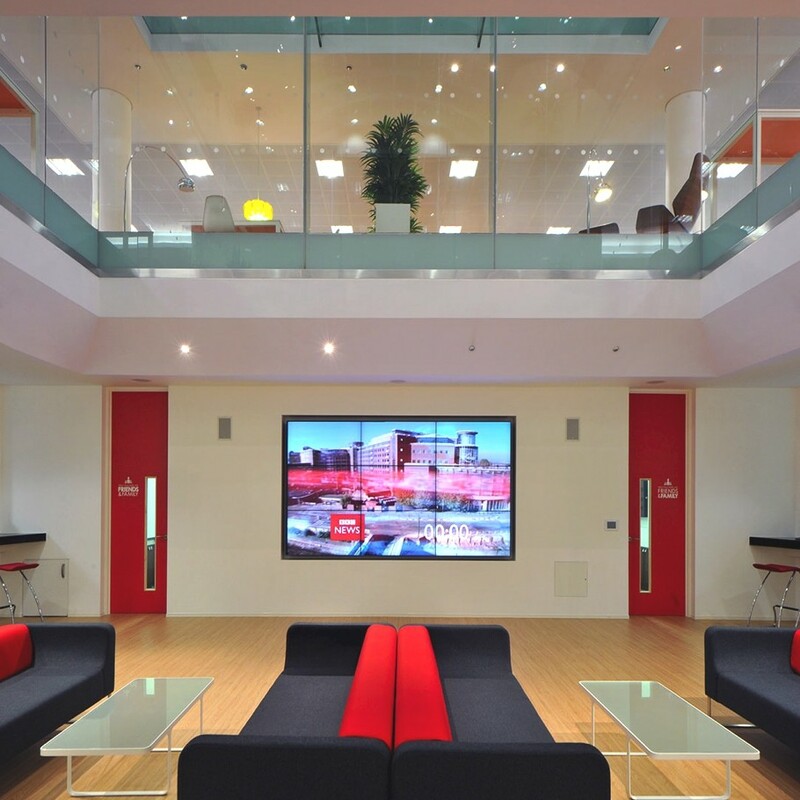 British office design and refurbishment specialists Morgan Lovell have completed the renovation of Rackspace, a leading IT hosting firm. 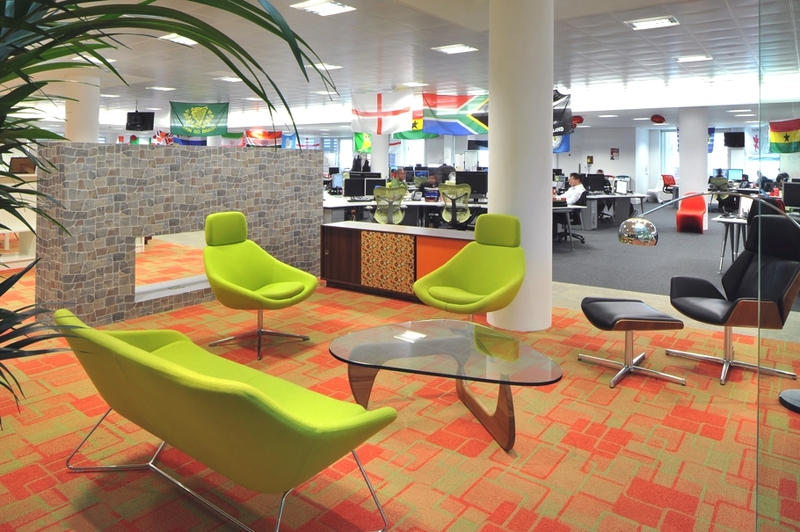 The contemporary office can be found in Middlesex, England. 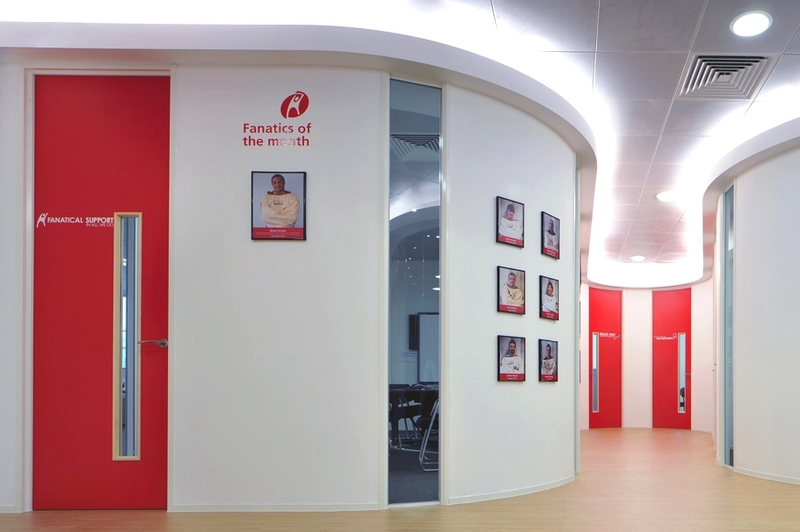 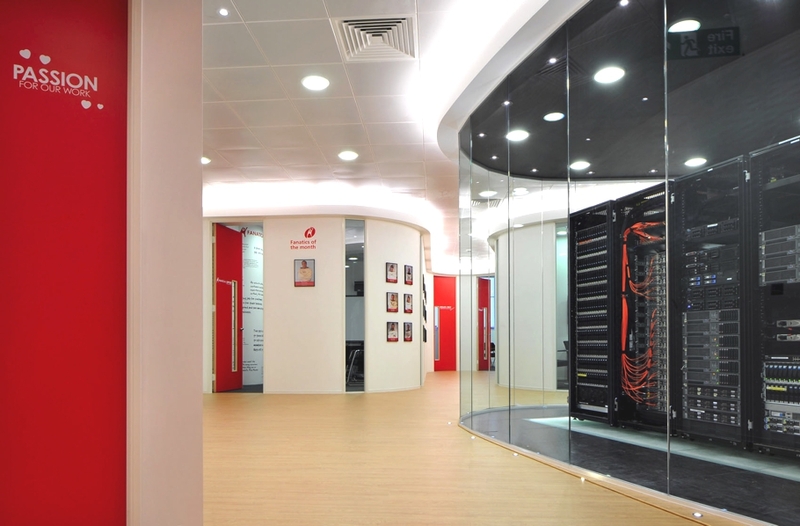 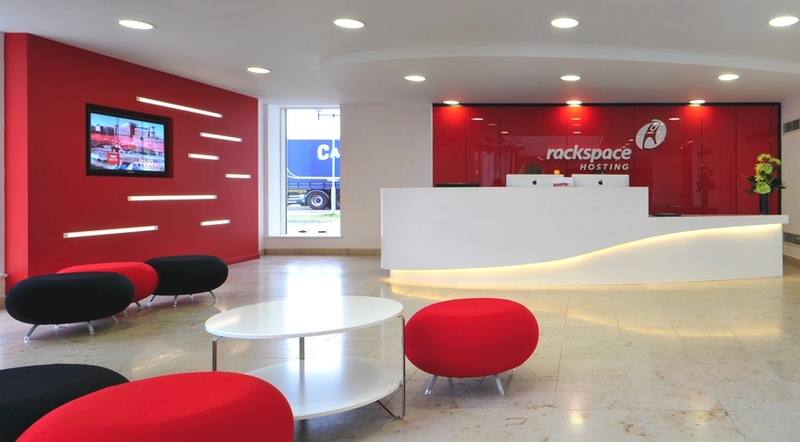 According to the designers: “Rackspace is the world’s leader in IT hosting. 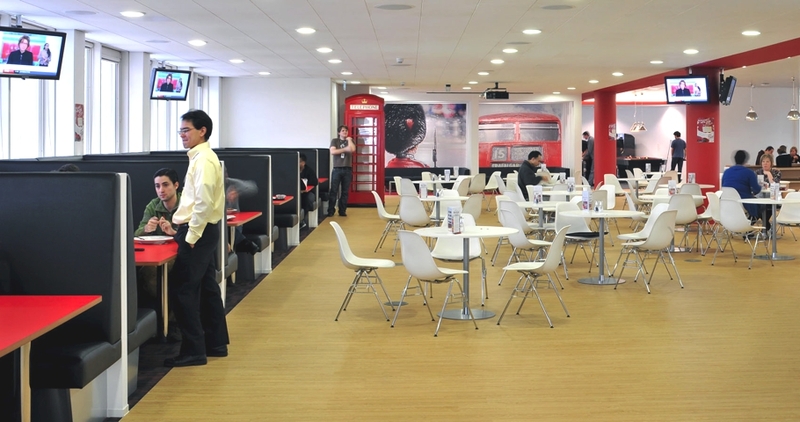 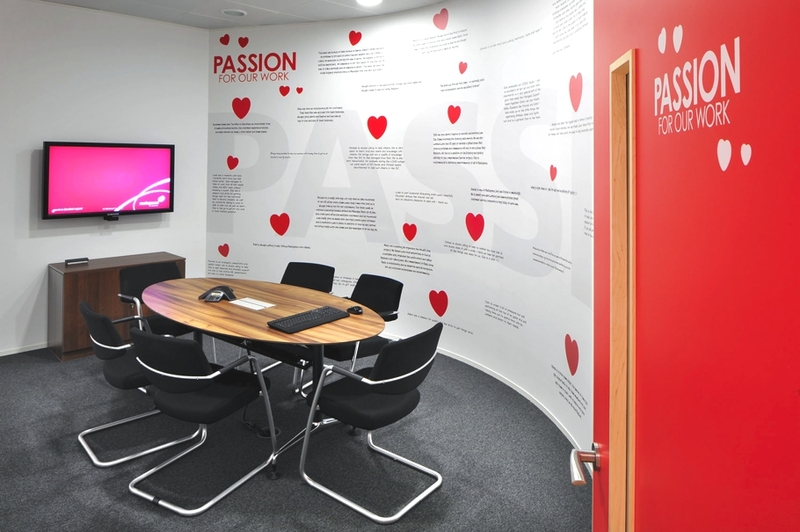 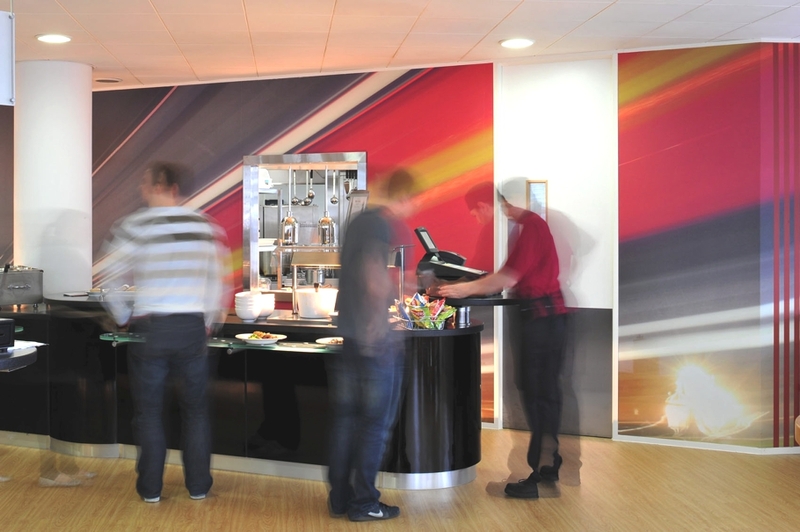 But when the time came to host their staff in a creative new office, they called us. 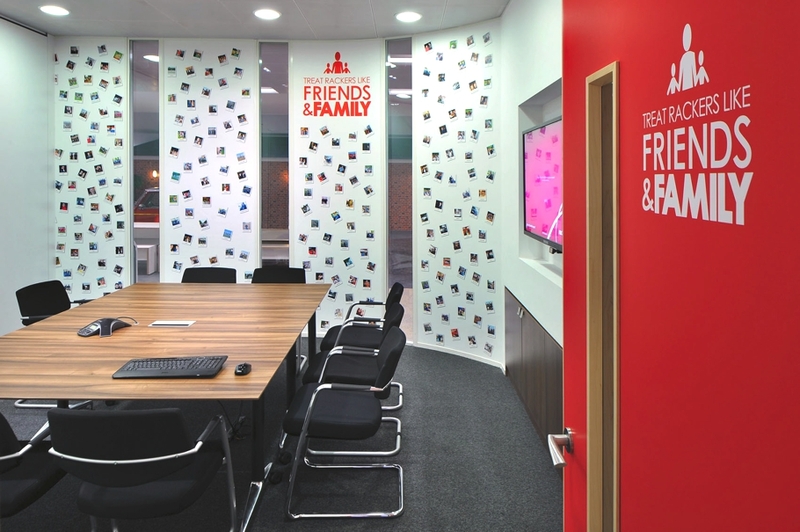 “We gave every floor a different theme inspired by the ‘family home’, but with a bit of a twist. 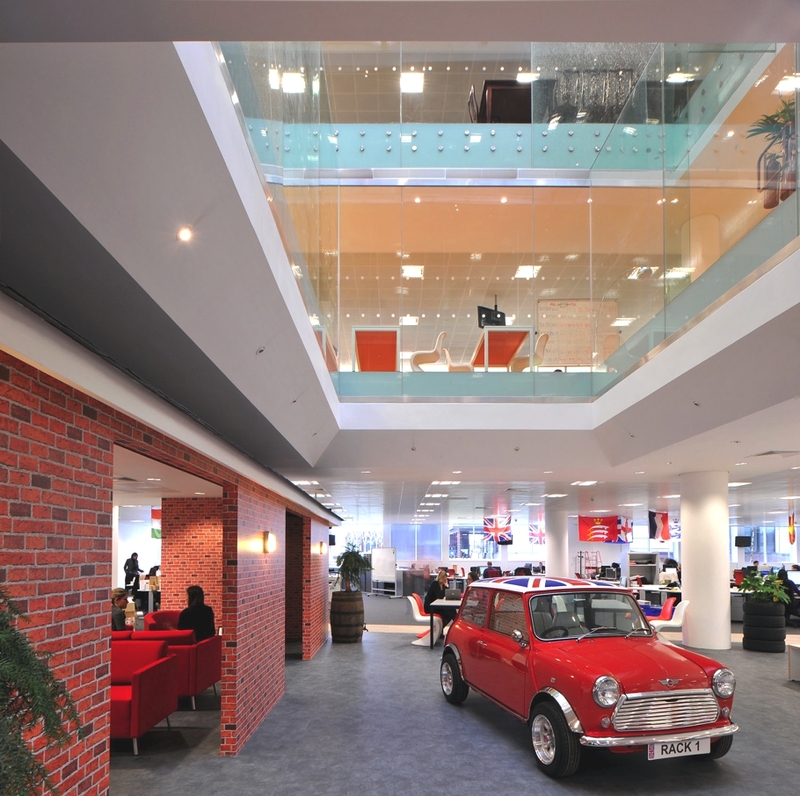 The ground floor represented a garage, complete with its own personalised mini cooper. 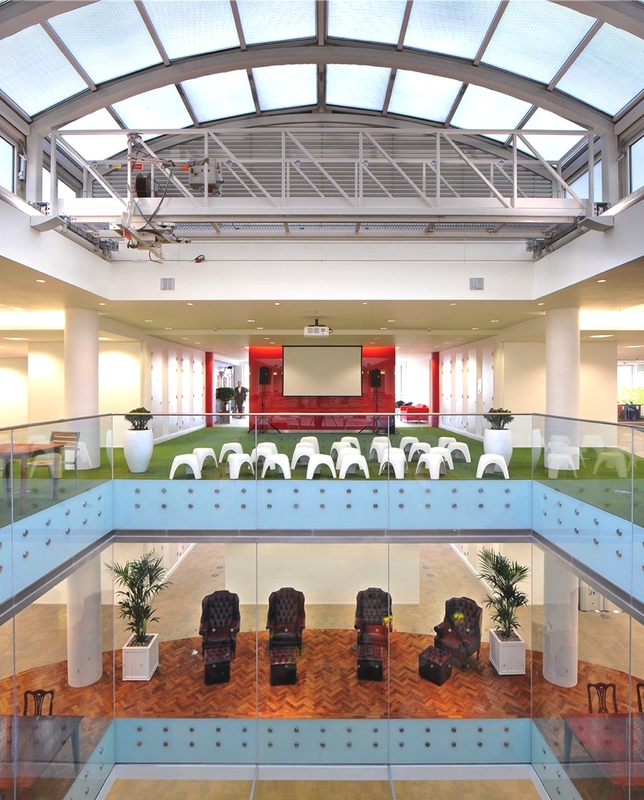 The first floor became a 70s inspired lounge for meetings, with chairs situated around an artificial fireplace. 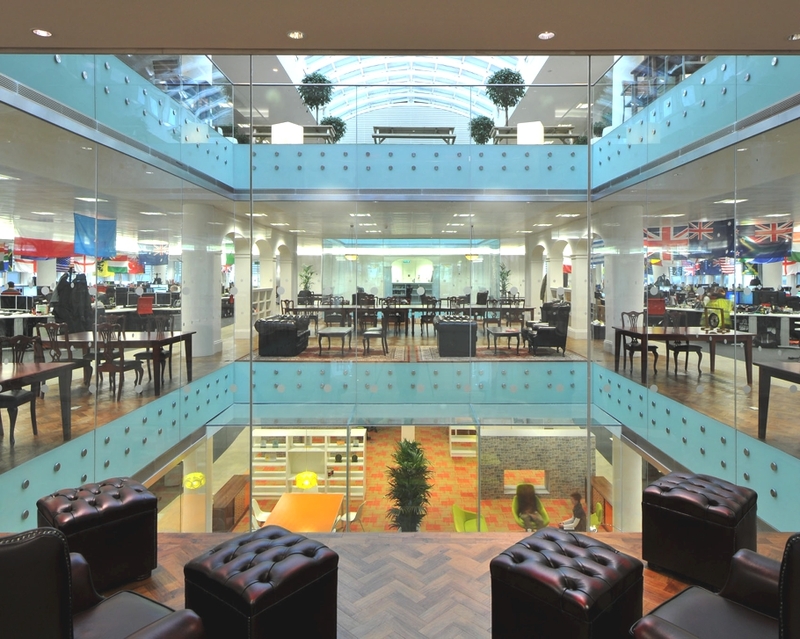 The second floor, also perfect for meetings, turned into the library, including dark leather chairs, long mahogany tables and bookcases. 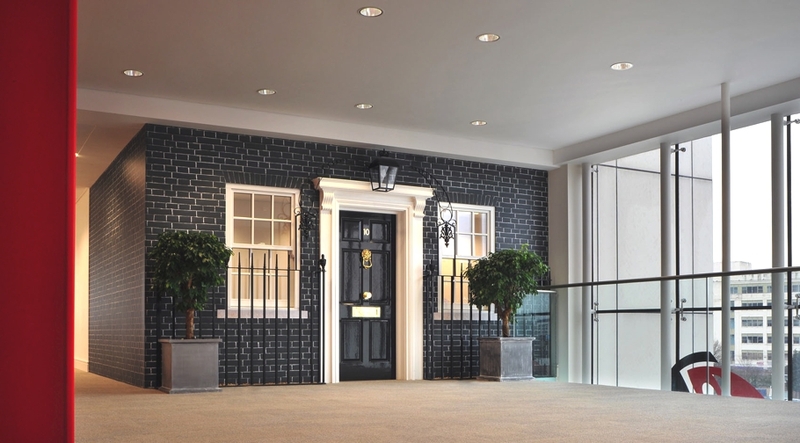 The garden, decorated in decking and fake grass, was situated on the third floor along with the boardroom; a complete replica of Number 10 Downing Street. 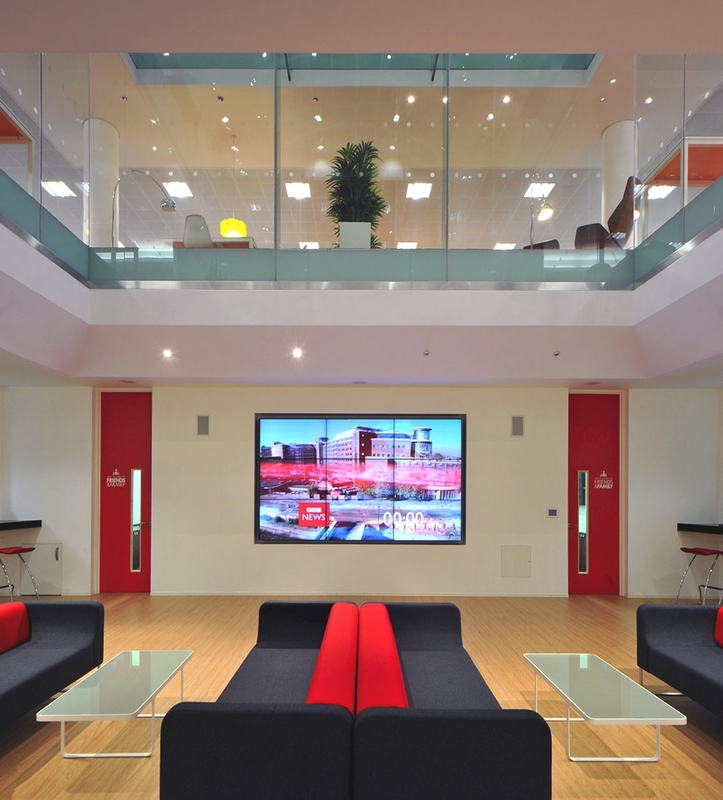 Images courtesy of Morgan Lovell. 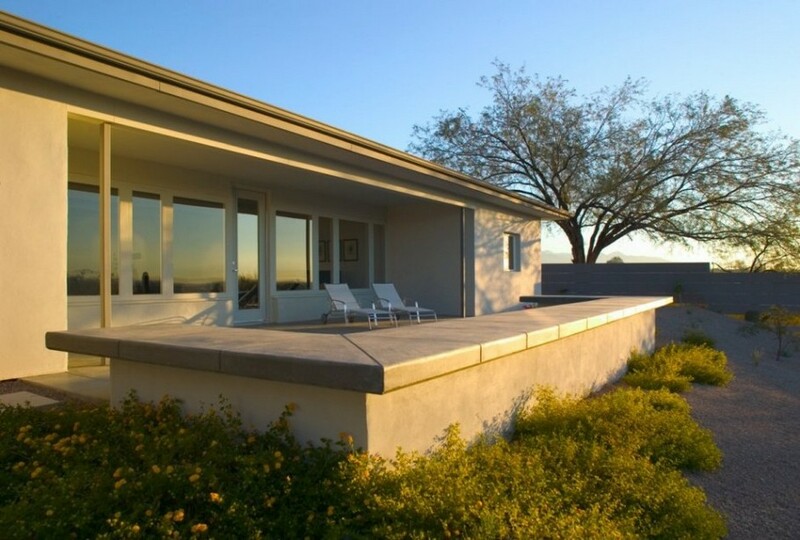 Ibarra Rosano Design Architects have re-designed and re-modelled a house in Tuscon, Arizona. 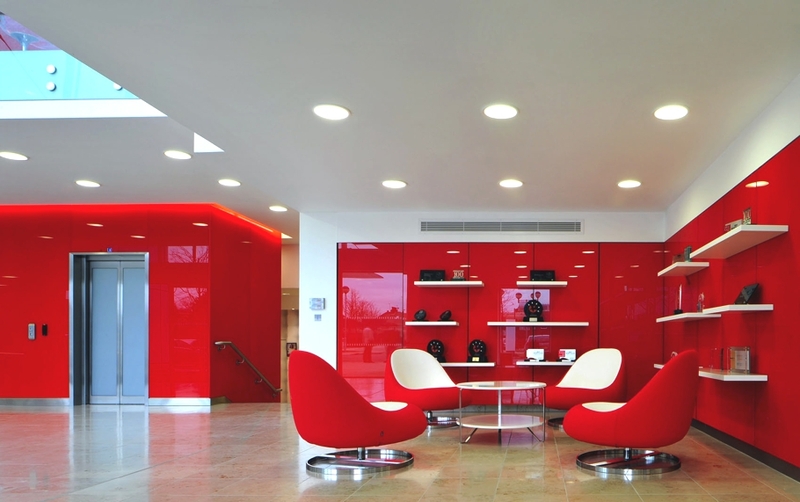 The previous house was completed in 1940s, and so the Ibarra Rosano Design Architects have refurbished the home and adding a beautiful contemporary edge to it. 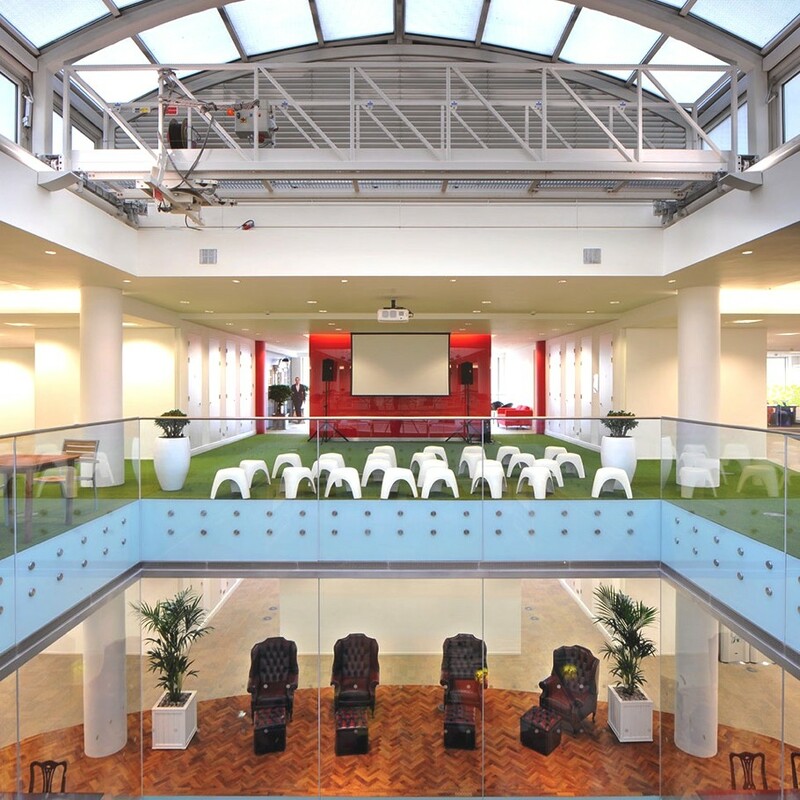 Arranged over two floors, this terraced London house is beautifully laid out with unusual access features including a glass corridor which has a view of the garden between the reception room and kitchen, as well as a bedroom which can be accessed via its own staircase.